#1 New York Times bestselling author John Lescroart weaves together a story of a privileged youth on trial for murder and an entire city on the brink of panic in this suspensful and stylish Dismas Hardy legal thriller. Although he appears to have reached the top, Dismas Hardy, rainmaker and managing partner of his thriving San Francisco law firm, has lost his faith in the justice system. When his young associate, Amy Wu, brings in a high profile, controversial double murder case, he decides to sit second chair—in defense of a wealthy, privileged young man even he has trouble believing. At the same time, Hardy’s friend Abe Glitsky has just been promoted to deputy chief of the Investigations Bureau, and has trouble of his own. Hounded by a hostile media, distanced from day-to-day police work, Glitsky must struggle against a wave of violence that has put the city on the verge of panic. As the tension builds around them, Hardy and Amy’s search for the truth will take them down a perilous path, and force Hardy to face his own demons in order to clear his client—and save himself. 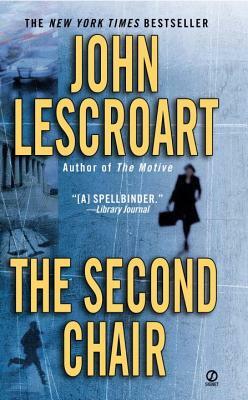 John Lescroart is the New York Times bestselling author of more than twenty-five novels including the Dismas Hardy series. He lives in Northern California.